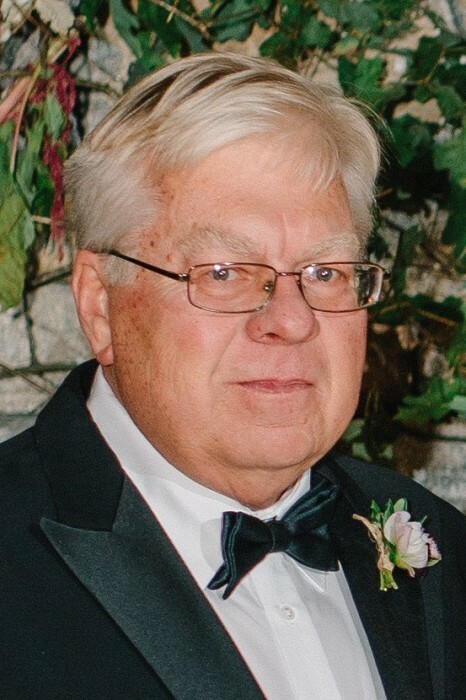 Ronald Dean Fairchild, 71, passed away on Sunday, April 22, 2018. He was born in New Castle, Indiana to Nilah Mae Rogers and Arvel James Fairchild. He is preceded in death by his parents, a brother, Arvel James Fairchild, Jr., a sister, Nilah Jo Fairchild and his son, Hayes Rogers Fairchild. He is survived by his wife of 20 years, Patrice Bethel Fairchild, his daughter, Margaret Grey Fairchild (Derek), his granddaughter, Hayes Ann, his step-son Nicholas Malone, his trusty companions, Tiger and Bailey the cats, as well as many other friends and family. Ron graduated as valedictorian from Spiceland High School, Spiceland, IN, was the recipient of the Rector Scholarship at DePauw University, Greencastle, IN, and went on to graduate with honors from University of Florida School of Law. Upon graduation in 1971, he went on to work for Culverhouse, Tomlinson, et al with a specialty in taxation and estate planning. He started his own firm in 1980 and continued to practice law there until his death. An avid collector, Ron bought and sold antiques tirelessly during his entire adult life. He loved the game of baseball and, along with a dear friend, attended Spring Training annually. He played as a pitcher in his younger days and went on to coach his son's Little League teams at NAS Jacksonville. Ron enjoyed a love of fishing, classic country and bluegrass music, folklore, Americana and history of all kinds. He was a fountain of knowledge on all his subjects of interest an endless source of good conversation. Ron will be greatly missed by those who love him.